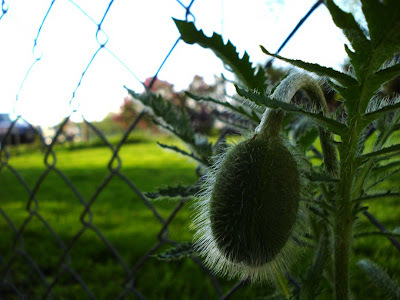 A wee poppy bud peaking through the fence. They're so lovely when they bloom! Lucky you! I adore poppies. I hope you'll take some pics of them when the flowers are out.